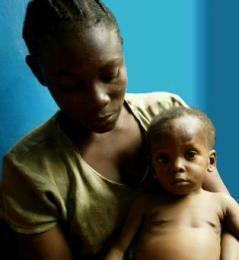 Zambia’s maternal mortality rate is one of the highest in the world and a third is due to unsafe abortions. Yet Benedict XVI has lauded the Zambian anti-abortion law and implied that birth control is an imperialist plot pushed by “powerful influences, many from beyond Africa.” In reality more than a quarter of married Zambian women want to use birth control but can’t get it. Others can get birth control, but their husbands forbid it. The Pope said “the Church affirms that the right to life of the innocent is inviolable, and must take precedence over all other supposed rights.” These “supposed rights” include the mother's right to life. A US Catholic hospital was disowned by the Church in 2010 for permitting an abortion to save the mother. Today another kind of carnage is taking place, and the Vatican is actively campaigning against measures that would help end it. This is the "preventable pandemic" of unsafe abortions, which in 2006 was estimated to take the lives of 68,000 women a year and to leave many more injured, sometimes permanently. And sometimes the refusal of Catholic hospitals to induce labour early when the fetus has no chance of survival anyway puts the mother's life in jeopardy. Shocking stories about this practice in the US were revealed in 2016. Today we hear no mention of the pope’s hangman, his army or his Inquisition. But Pope Francis' condemnation of the death penalty represents a U-turn. For most of its history the Church exercised control through threats of death. And not just threats about what would happen to you after death: they also, on occasion, threatened to have you put to death. For centuries the popes also waged war and even the end of the Papal State was marked by pontifically sanctioned bloodshed. In 1870 King Victor Emmanuel II (whom Pius IX had excommunicated ten years previously) made the Pope the face-saving offer of the peaceful entry into Rome of Italian troops to “protect” him. However, this Pius angrily rejected. 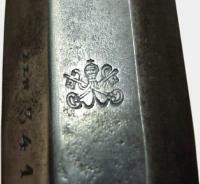 Thus the papal forces, armed with an 1868 model of the Remington Rifle known as the Pontificio, were ordered to mount a hopeless defence. This resulted in dozens of unnecessary deaths. 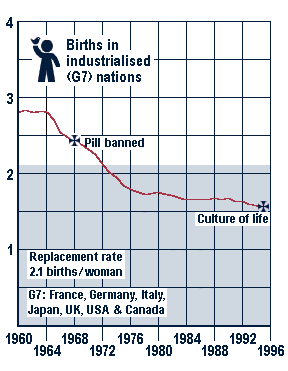 Still worse, from the Vatican's point of view, the new birth-control pill was giving women far more reproductive freedom and the birth rates in the industrialised nations began a steep decline, as these women were finally able to have the number of children they wanted. Something was needed to make the anti-pill campaign look like a high-minded philosophical principle, rather than an assault on women’s freedom. To accomplish this, consistency was essential. Or is it really the “culture of obedience”? 4. The Inquisition, the special court to curb the spread of heresy, had three phases. The Mediaeval Inquisition was begun to suppress the Cathars. In 1209 the pope declared a crusade against them and in 1232 decided to end this heresy once and for all by setting up special religious courts. 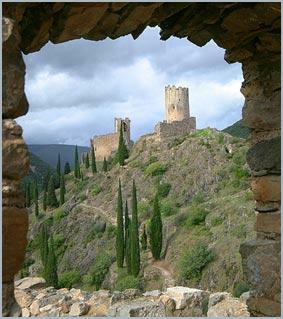 The remote, mountain-top refuges of the Cathars can still be seen in Southern France today. Later the Inquisition spread to other parts of Europe to stamp out heresies ranging from witchcraft to Judaism. The Spanish Inquisition established in 1478 by Queen Isabella and King Ferdinand, with Rome's approval, mostly targeted Jewish converts to Christianity. The Spanish Inquisition also spread to the New World. It was not abolished until 1834. The Roman Inquisition was founded in 1542 as a Vatican agency to battle the Reformation, though it also dealt with other heresies, such as Galileo’s notion that the earth revolved around the sun. The Roman Inquisition still exists. Since 1965 it has been known as the Congregation for the Doctrine of the Faith, and was headed by Joseph Cardinal Ratzinger, now Pope Benedict XVI. 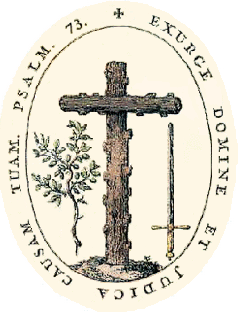 The seal of the Roman Inquisition shows a cross made ominously by lopping off branches. Encircling this is the opening of Leo X's 1520 Bull of Excommunication against Luther: “Rise up, Lord, and judge your cause." Also mentioned is “Psalm 73” which contains lines such as “Thou hast destroyed all them that go a-whoring from thee". Alessandra Stanley, “Vatican Is Investigating the Inquisition, in Secret”, New York Times, 31 October 1998. Constitutional Rights Foundation, “The Inquisition: Looking into the Human Soul”. This is a mild introduction by a human-rights group intended for young people and has a bibliography that leads further. 7. The last execution in the Papal States on 9 July 1870, was carried out just a few days before the French emperor withdrew his troops and left the pope to deal on his own with both his disgruntled subjects and the Italian army. Ibid. Amnesty International, Death Penalty News, March 2001. Vatican City State - On 1 February the Vatican published a new constitution, signed into law by Pope John Paul II on 26 November 2000, which does not mention the death penalty. This is the first time the constitution has been amended since its inception in 1929 when the Vatican became a separate state within Italy. The death penalty had been abolished in the Vatican City State's penal law by Pope Paul VI in 1969 but until now it had not been removed from the state's constitution. A strongly worded editorial in Italy's mainstream La Stampa newspaper said the Vatican's reasoning was ‘grotesque’. Pointing out that homosexuality was still punishable by death in some Islamic countries, the editorial said what the Vatican really feared was a ‘chain reaction in favor of legally recognized homosexual unions in countries, like Italy, where there is currently no legislation’. 12. Vatican support for rightwing dictators is often expressed through treaties with them. Examples of concordats concluded with despots, large and small are those with Hitler, Mussolini, Franco, Duvalier, Trujillo, Dollfuss, Houphouët-Boigny, Aramburu and Onganía. See “The right gets a concordat, the left, a modus vivendi”. More detail can be found at the site of the Clero-Fascist Studies Project. For a constantly updated list of polls on what Catholic women really think, see http://www.catholicsforchoice.org/topics/catholicsandchoice/CatholicsandChoice.asp Also useful is a summary of recent opinion polls taken among US Catholics and non-Catholics of many different ethnic groups: Catholics for Choice, The Facts Tell the Story: Catholics and Choice, Washington, DC, 2011. 25. Joseph Cardinal Ratzinger, Prefect of the Congregation of the Doctrine of the Faith, “Letter to the bishops of the Catholic Church on the collaboration of men and women in the Church and in the world”, 1.2 ff, 2004-05-31.